This is not a file photo. Mikaela Shiffrin wins her fifth FIS Alpine World Ski Championship title on Saturday in Are, Sweden. Mikaela Shiffrin celebrates her fourth consecutive FIS Alpine World Ski Championships slalom title on Saturday in Are, Sweden. No one has ever won four straight titles in the same discipline at worlds. Battling a cold and a strong field, Mikaela Shiffrin overcomes a lot on her way to her fourth consecutive FIS Alpine World Ski Championships slalom title on Saturday in Are, Sweden. Mikaela Shiffrin finishes Saturday's FIS World Alpine Ski Championships with her fifth worlds gold medal and her fourth straight in slalom. Mikaela Shiffrin skis her way to the fifth gold medal of her illustrious FIS Alpine World Ski Championships career on Saturday in Are Sweden. Mikaela Shiffrin takes a moment on the podium in Are, Sweden. She won the FIS Alpine World Ski Championships on Saturday for her third medal of the event. 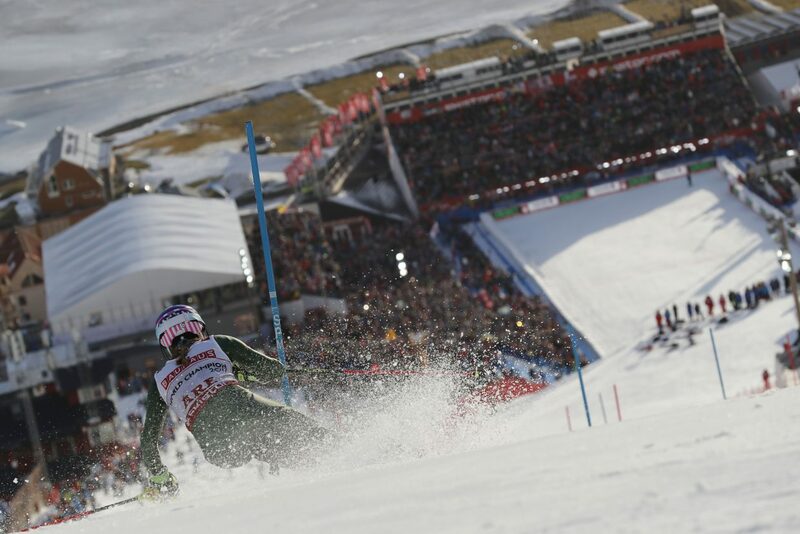 Mikaela Shiffrin charges down during the first run of Saturday's FIS Alpine World Ski Championships in Are, Sweden. Shiffrin was third after the first run. 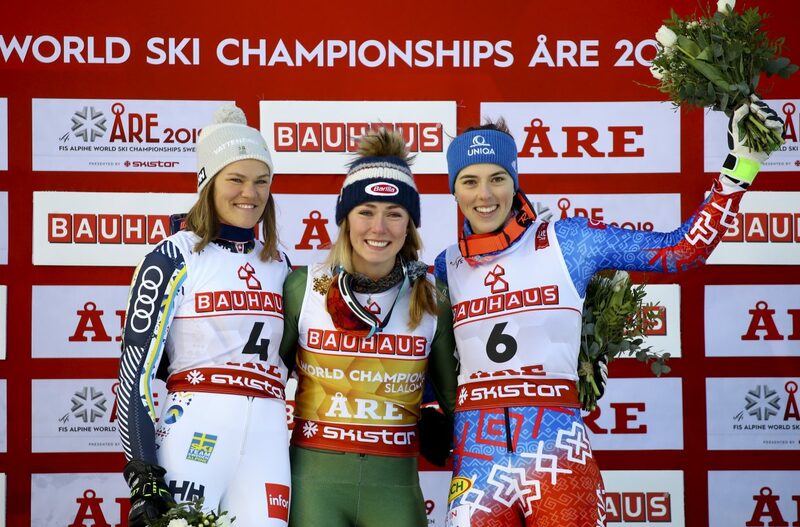 Mikaela Shiffrin shares the podium with Sweden's Anna Swenn Larson, left, and Slovakia's Petra Vlhova, right. Mikaela Shiffrin goes down to the snow after winning the FIS Alpine World Ski Championships slalom on Saturday in Sweden. The four-time slalom world champion was battling a cold, but still won by more than half a second. Seemingly nothing can stop Vail’s Mikaela Shiffrin in slalom and certainly not a nasty cold. 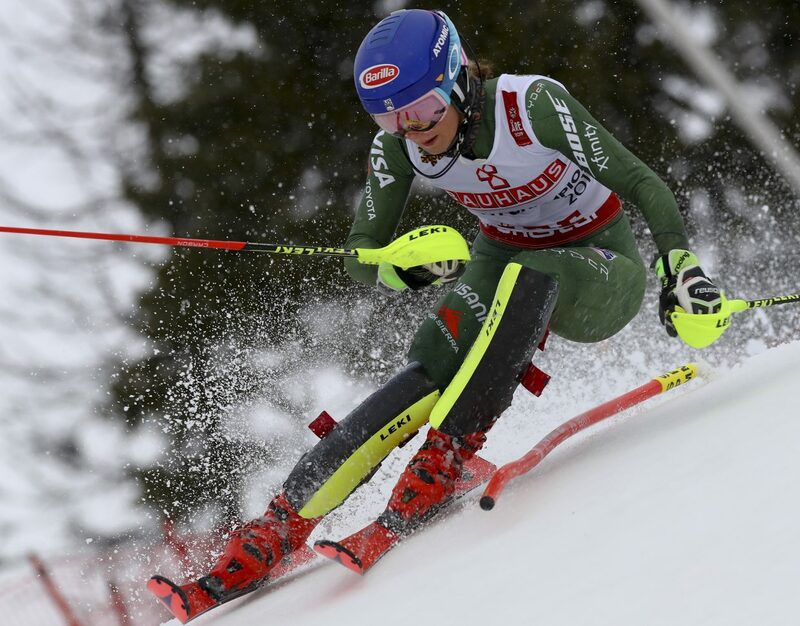 The 23-year-old made history on Saturday at the FIS Alpine World Ski Championships in Are, Sweden, by winning the slalom for the fourth consecutive time at the biennial event. U.S. Ski Team spokeswoman Megan Harrod said Shiffrin “has a chest cold” and had “low energy.” According to the AP, Shiffrin collapsed to the snow for a little while after finishing. 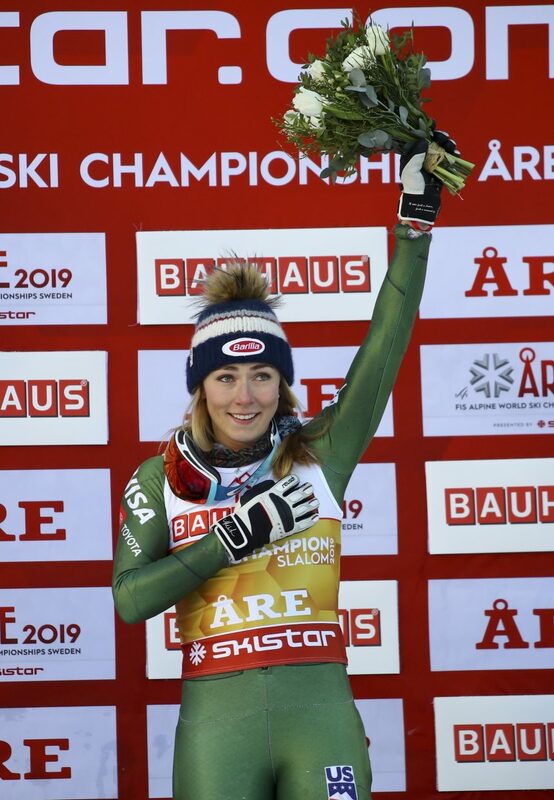 The next time you’re thinking about calling in sick to work, remember the day at @are2019 when @mikaelashiffrin won her fourth consecutive slalom world title while battling a chest infection. No one has ever won the same event at worlds four times in a row— even when the event was held annually from 1931-39 — so welcome to history, Mikaela. Shiffrin was third after the first run behind Switzerland’s Wendy Holdener (0.15-seconds ahead) and Sweden’s Anna Swenn Larson. 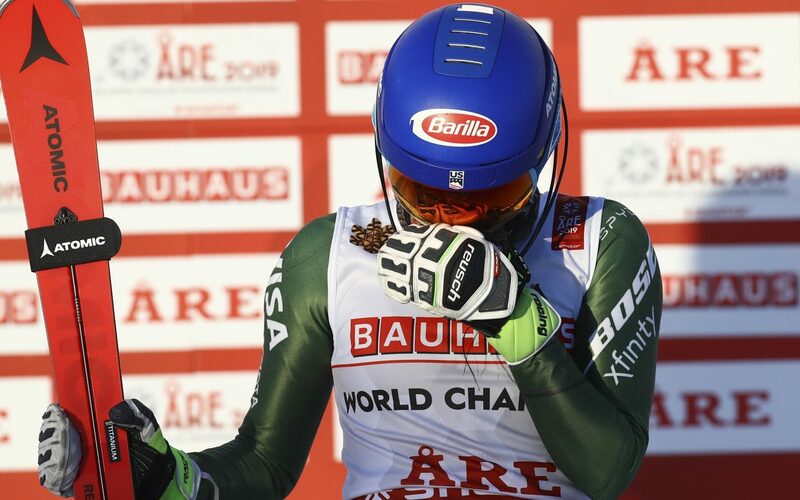 The American blew away the field in the second run with the only time under 1 minute (59.82 seconds) to win by 0.58 seconds over Swenn Larson and Slovakia’s Petra Vlhova, while Holdener faltered and fell back to 17th place. Being under the weather didn’t stop Shiffrin from becoming only the third American to win two golds at worlds. 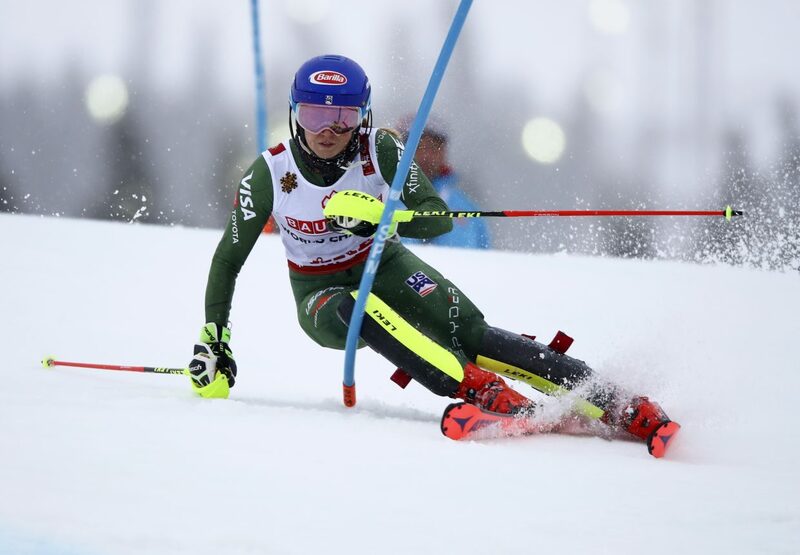 Shiffrin won the top step in super-G last week. Lindsey Vonn, who retired earlier this week with her bronze in the downhill, won two golds in 2009 (downhill and super-G) in Val, D’Isere, France. American Andrea Mead Lawrence also did the double (giant slalom and slalom) in Oslo during the 1952 Olympics, when the games doubled as the world championships. In the post-World War II era of the event, Shiffrin is tied for fourth among women all-time with five gold medals at worlds in her career along with Austria’s Annamarie Moser-Proll and Croatia’s Janica Kostelic. Only France’s Marielle Goitschel and Sweden’s Anja Parson (both at seven) and Switzerland’s Erika Hess (six) have won more. Shiffrin has also now tied Ted Ligety for most worlds gold medals by an American with five. She has a rather extensive collection of trinkets with 7 worlds podiums (five gold, one silver and the bronze, the last coming in Thursday’s giant slalom), as well as three Olympic medals (2014 slalom gold, 2018 GS gold, and 2018 combined silver). 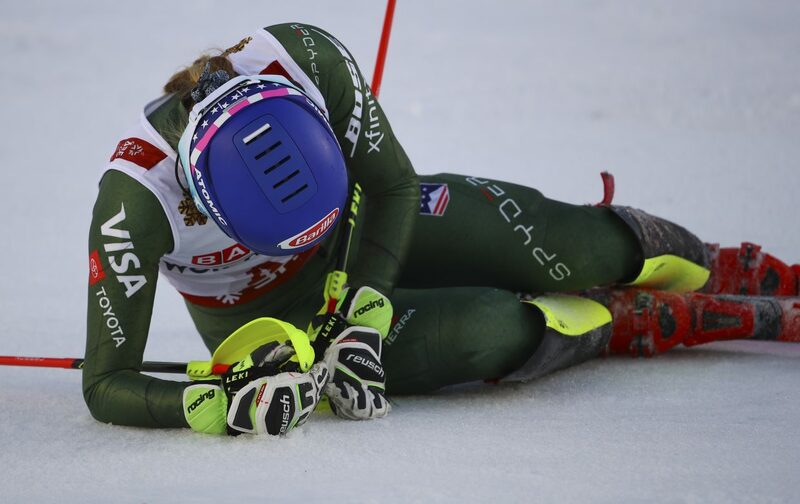 Shiffrin probably could have been forgiven for thinking, “Here we go again,” as the weather was poor again in Are. While wind forced her to ski conservatively during the first run of Thursday’s giant slalom and “settle” for bronze, fog descended on the course on Saturday. And then there was her illness. 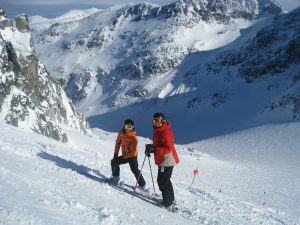 Skiing with the No. 2 bib, Shiffrin had a solid first run which put her in position for the podium and a possible charge, but she was having a hard time breathing. As it turned out, Shiffrin needed fewer than 60 seconds, 59.82 seconds to be precise. But it wasn’t over. First of all, she had to get up from her prone position in the finish area. She said she was worried that it would be disrespectful to be lying in a heap, even if she was having a hard time getting oxygen to her lungs, with Sweden’s Swenn Larson coming down next. Shiffrin could also sense that the home crowd was willing Swenn Larson to do well, totally understandable as the host nation had not medaled to that point at worlds. Swenn Larson charged, assured Sweden of its first medal of the two-week event, yet finished a little more than a half-second back of Shiffrin. The American then had to wait out the first-run leader, Holdener, who had a forgettable second run, clinching the gold for Shiffrin. American Paula Moltzan also had a big day, finishing 19th. And so ends a memorable world championships for Shiffrin. The men race slalom on Sunday to close out Are 2019. But the World Cup continues and Shiffrin is close to clinching her third straight World Cup championship. With the caveat that world championships do not count toward World Cup points, Shiffrin still has a huge lead of 651 points over Vlhova. With 11 World Cup events remaining, this is all but an insurmountable lead. The women’s tour is in Crans-Montana, Switzerland, for a downhill and a super-combined next weekend. 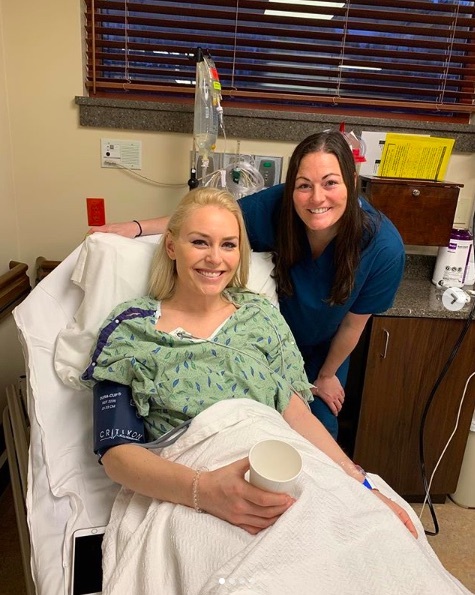 While Shiffrin has not announced her upcoming schedule yet, she has finished a strenuous stretch at Worlds, not to mention the build-up to Are. In the last two months, she has competed in 21 events in 10 different countries — the United States, Canada, Switzerland, Frace, Austria (twice), Norway, Croatia, Italy, Slovenia, and Sweden — and it’s not hard to speculate that she may take a pass on Switzerland, even with the super-combined. 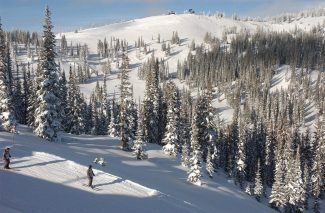 There’s also the factor of getting healthy and being able to breathe normally, which usually helps with Alpine skiing. There are more speed events — a downhill and super-G — in Rosa Khutor, Russia, March 2-3. The tour turns back to tech with a GS and slalom in the Czech Republic, March 8-9, and her return to the slopes will come there, if she doesn’t appear in the previous two stops, followed by the World Cup finals in Soldeu, Andorra, March 13-17.